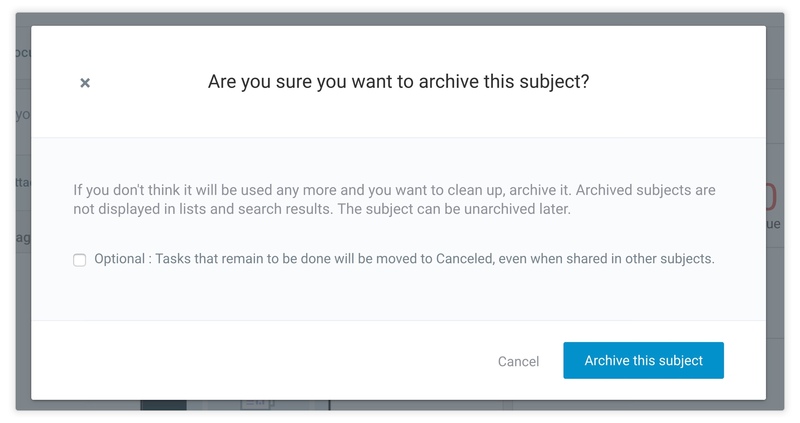 How to Archive a Subject? 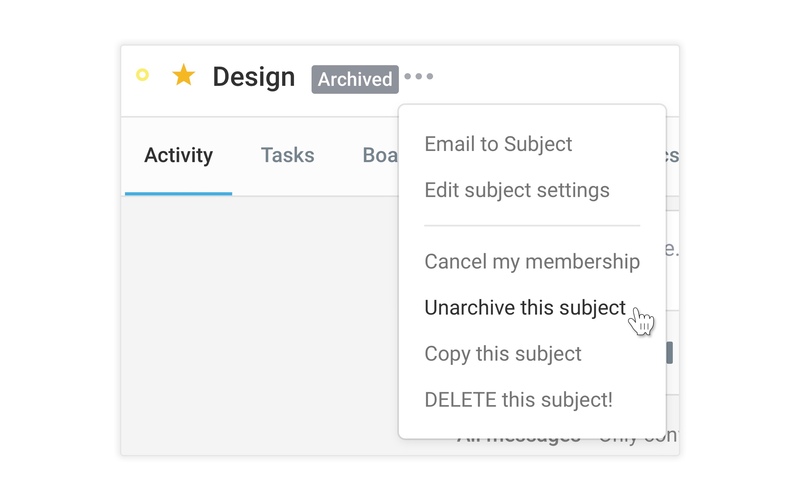 To be able to archive or delete a subject, you must be an officer of the subject or a workspace admin. A confirmation window will appear. 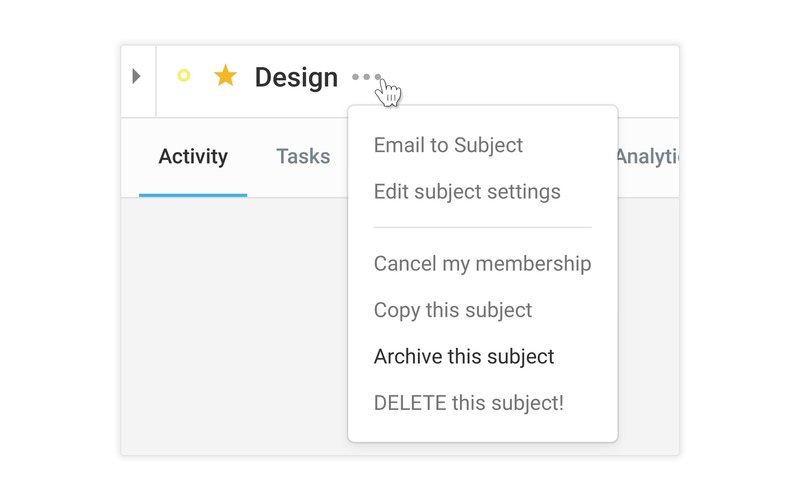 You can optionally check the box to move all remaining tasks in the subject to the Canceled state. An archived subject can be easily identified with its "Archived" tag next to its name.